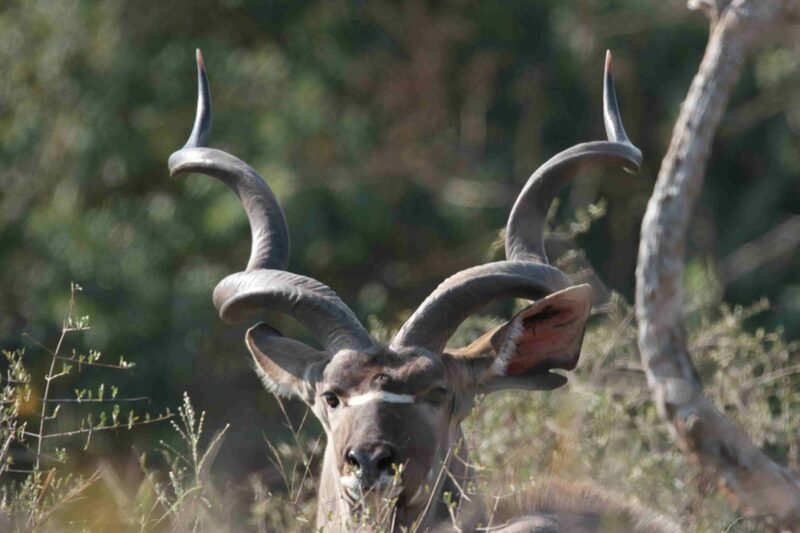 While most travelling to Kruger will be chasing the elephants and lions, this group of intrepid travellers decided to go in the off-beaten paths, to experience the majestic splendour of wildlife and nature in Africa. The poem aptly describes our dilemma on which route to take. 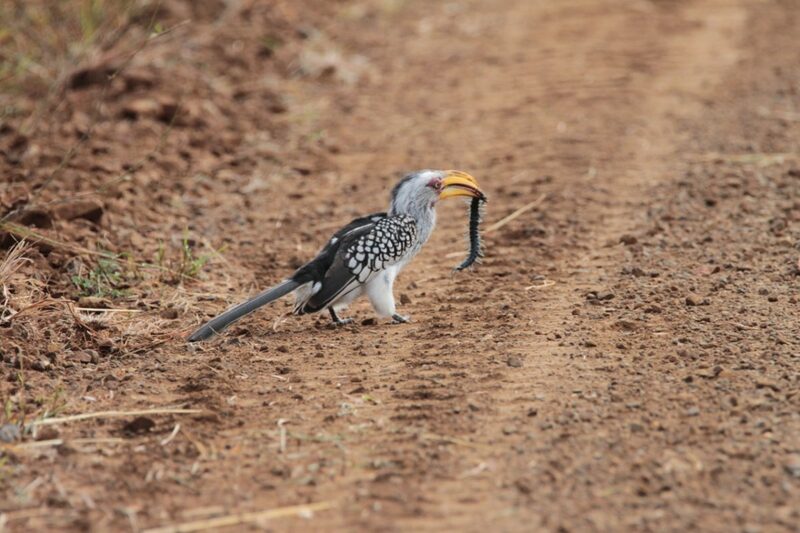 We are in the surrounds of the Skukuza Rest Camp (Kruger National Park, South Africa; May 2015) where animals traverse roads and humans explore the wilderness (mostly from vehicles, of course!). 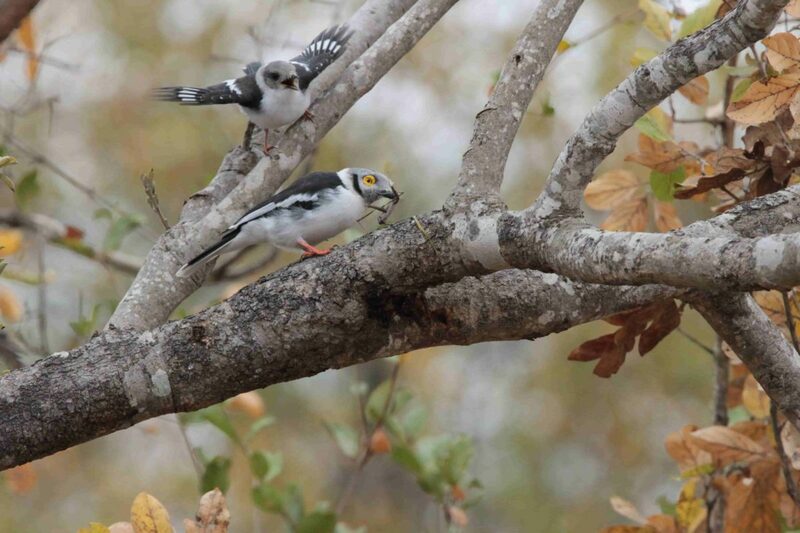 We are a group of six – Praveen, Bindu, Monto, Geethanjali, Siddharth and Kumaresh, with eight days to see as many animals and birds as we can before returning to India. Having hired a car, we browse sightings and best routes – many times, traversing the same roads does not yield similar results. On occasions, we ‘just’ drive around, and here we witness nature in her breath-taking glory. This superb view along the Sabine River, revealing the beauty and grandeur of the giraffe, strikes us as if we are passing through paradise. An early start to the day helps us with better sightings, as we drive around the park. We see a large group of gazelles (Gazella thomsonii) waking up to the dawn. 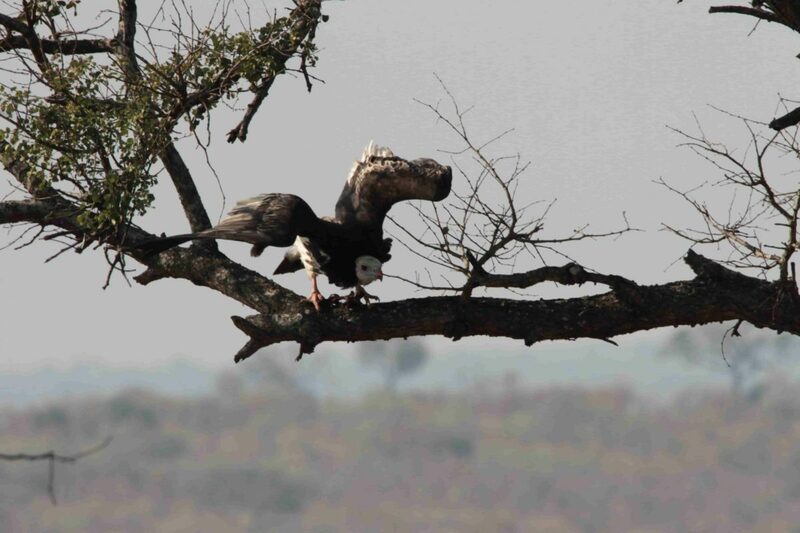 We stop to see a few males marching to the edge of the gathering, suspiciously smelling something. 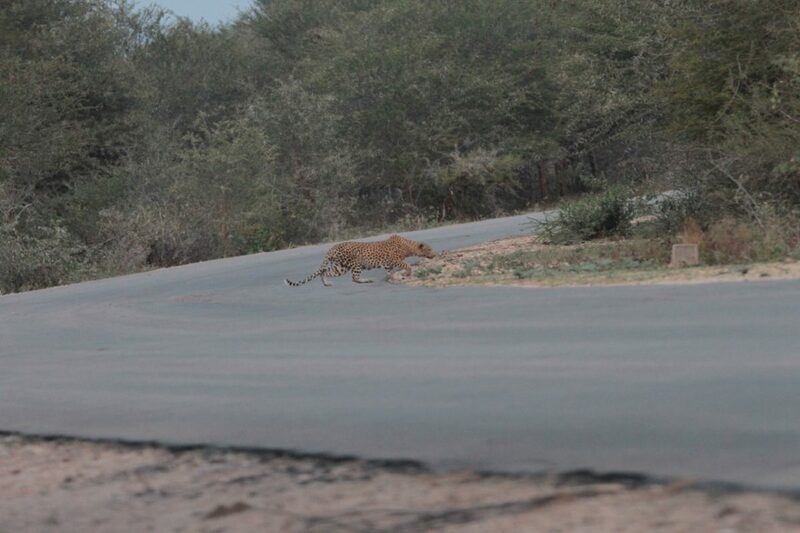 After twenty minutes, when nothing happens, we turn back to the road in disappointment, only to stop at the hair-raising sight of a leopard stalking the gazelles. A speeding car wrecks the scene. 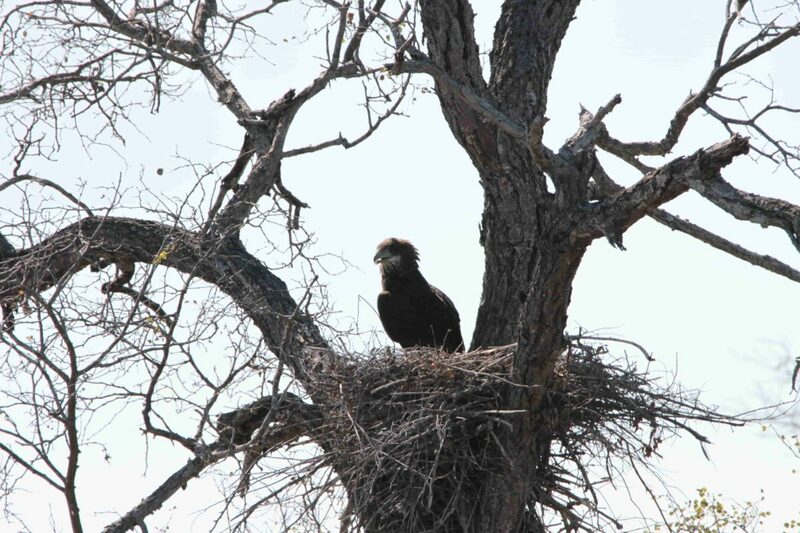 From the time we set eyes on this baby Bateleur eagle, we drive by every day to see if it has learnt to fly and leave the nest – one day, to our immense pride, it had. 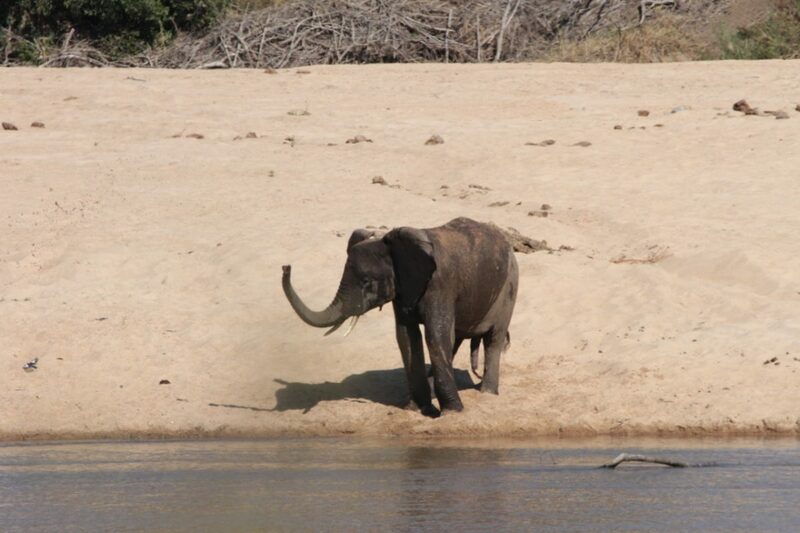 This baby elephant swats with his trunk a small bird, who dares to share the river bank. Elsewhere, a juvenile helmet shrike fervently (chirping loudly and fluttering) follows the parent (out of the nest) for a bite – an amazingly camouflaged stick insect. 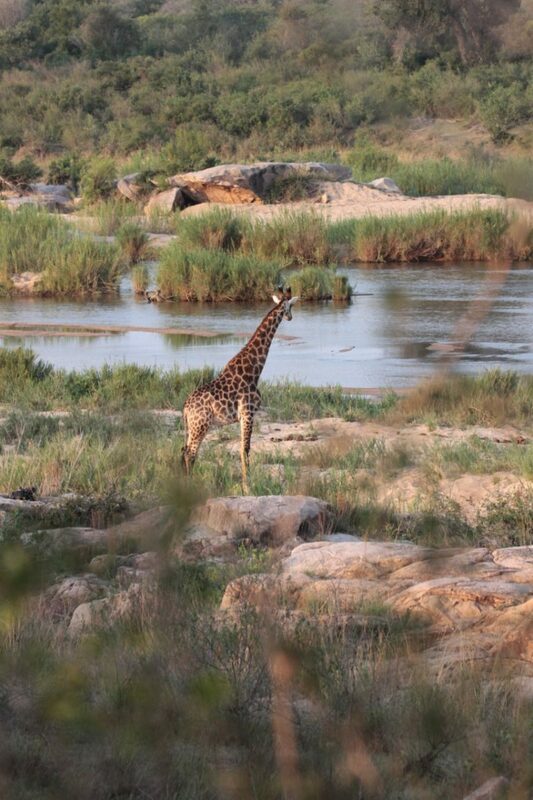 We park for hours near a secluded waterhole to catch a rare glimpse of the king of the jungle. 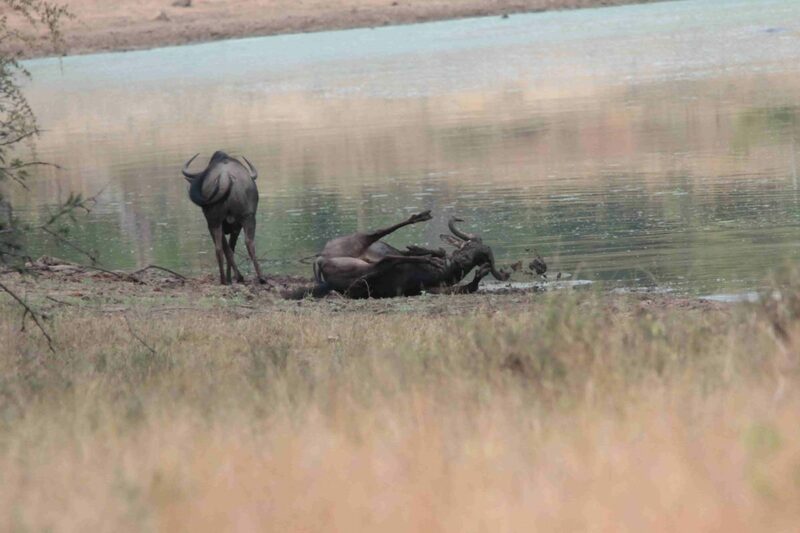 But then, it is wildebeest who come by gingerly; they prefer to first roll in the soothing slush before sipping on a hot sunny day. 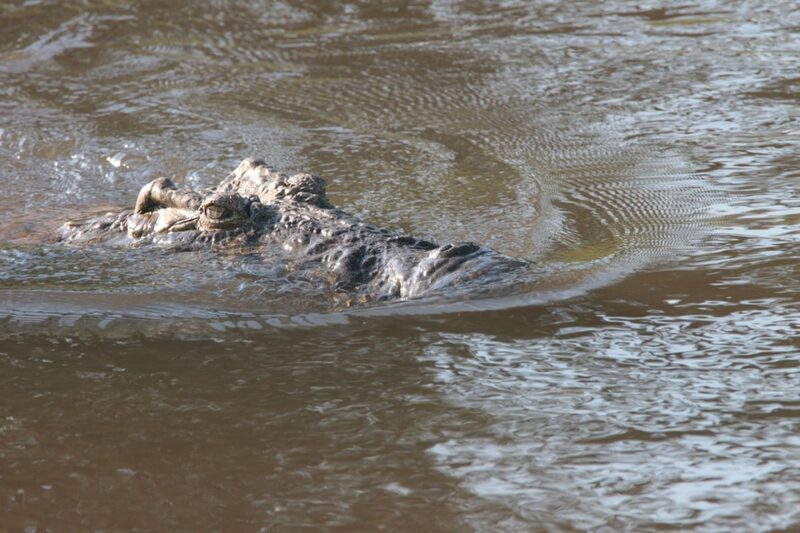 On another sunny day, we spot this crocodile facing the water flow, hoping to catch a fish. The panorama seems so calm and peaceful, muffling the deadly intent. We keep driving in the almost no man’s land, looking at our watches, late to get back to Camp. 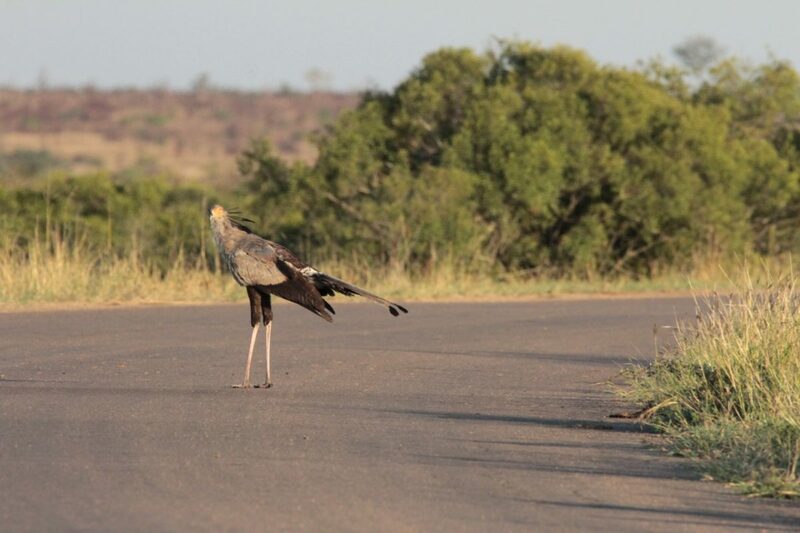 Following a turn, we see this rare and amazing Secretary bird in the middle of the road. As we inch closer, the bird majestically walks away into the bushes out-of-sight. 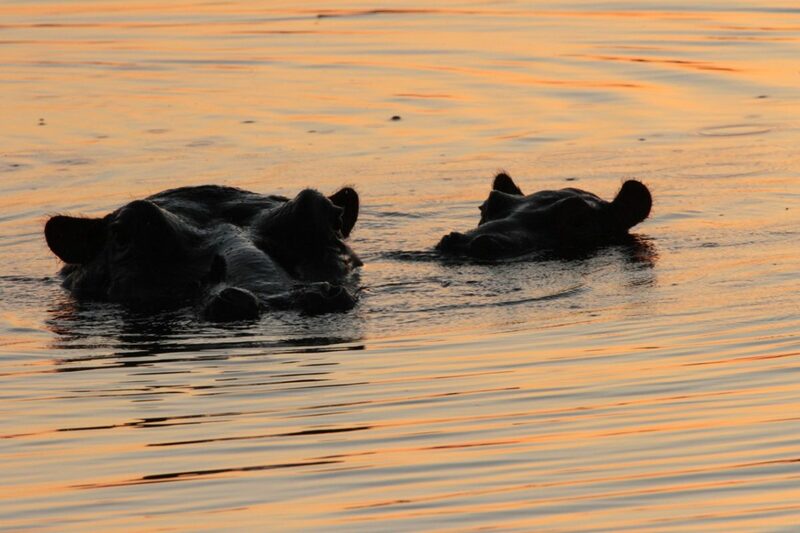 We find this hippopotamus mother and calf just surfacing (amidst bubbling waters) and completely merging with the beautiful sunset, at a five-minute distance from Camp. 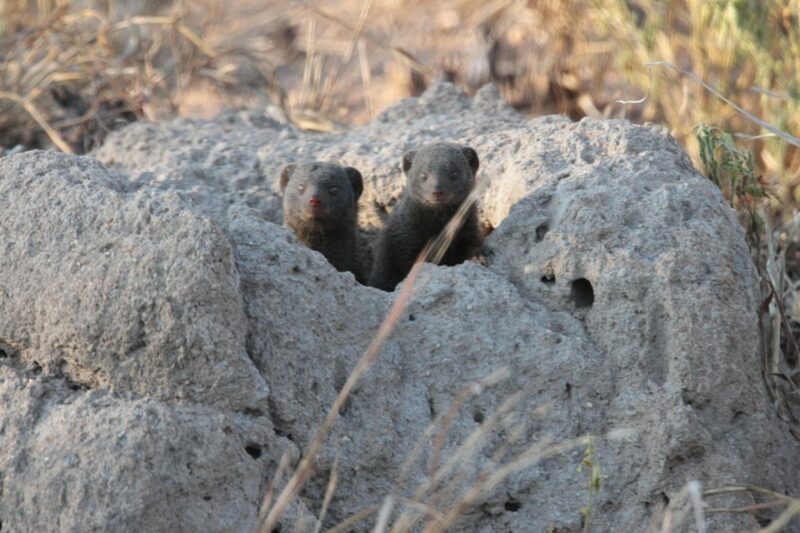 Here, the common dwarf mongooses are awakened, and taken by surprise,d at teeming up cars (following lions). One of our trips takes us on a lonely road where this is nibbling (like a sewing needle) a centipede from head to tail, to swallow it whole. 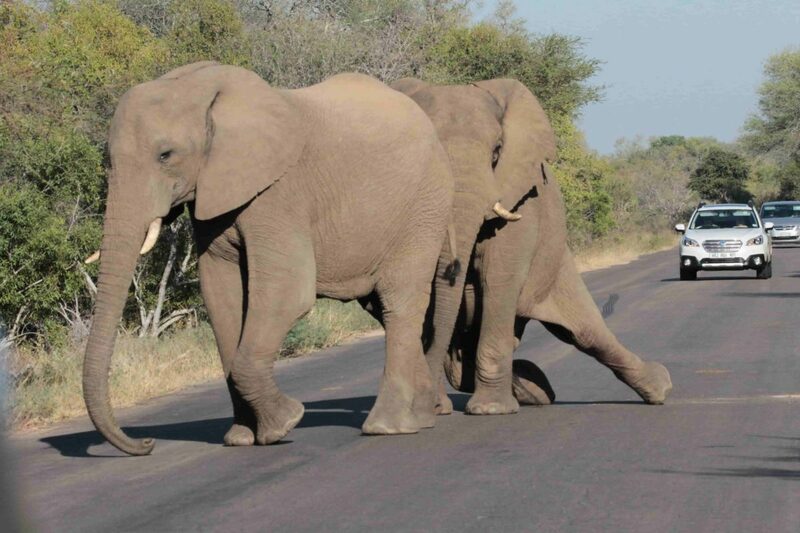 One of these adolescent elephants is bullying the other, nudging and pushing him around in no particular direction. Finally, the bully slips and falls down awkwardly. 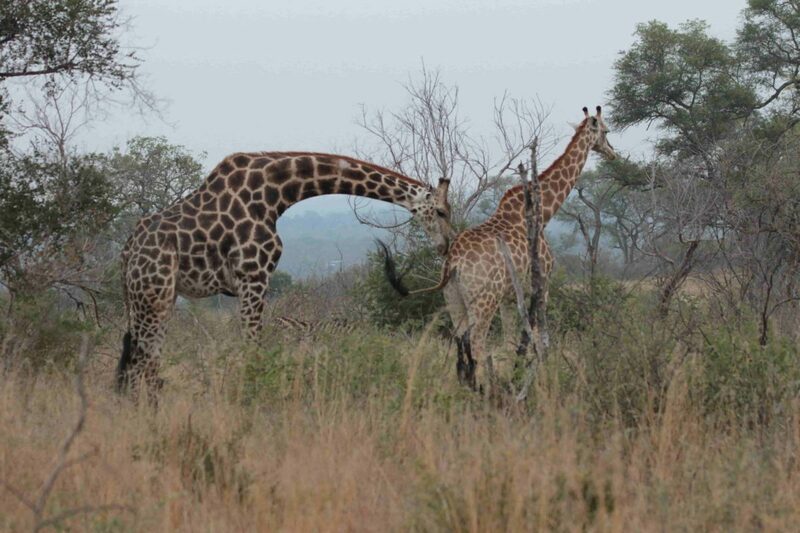 Like the elephant, the giraffe on the left nudges the one on the right, albeit playfully. These are some of the spots and moments and experiences that our journey led us to; whichever road we took − whether more or less travelled − presented presenting us with glimpses of nature’s splendour at its best. 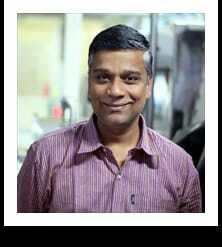 Monto Mani is an Architect and Civil Engineer, presently working as Associate Professor at the Centre for Sustainable Technologies, Indian Institute of Science, Bangalore. He likes to photograph, cycle and work with his hands. 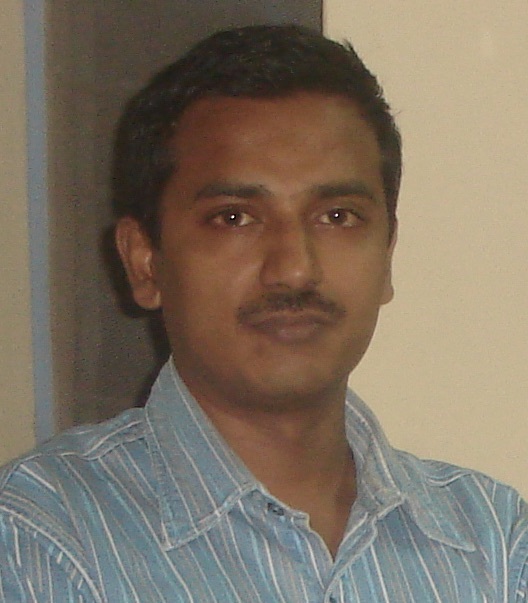 Bindu Sadanandan has a Masters degree in materials science and engineering. She is presently a homemaker and likes trekking, travelling and watching birds. Praveen C. Ramamurthy is working presently as Associate Professor in the Department of Materials Engineering, Indian Institute of Science, Bangalore. He likes wildlife adventures, watching birds, trekking and travelling. 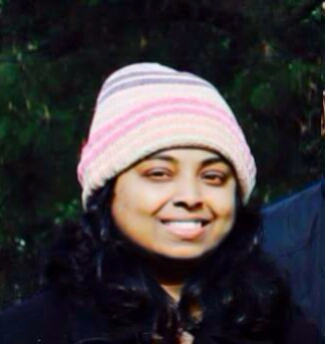 Geethanjali Monto has studied civil engineering and mass communication and worked last as a science writing fellow in Current Science – Bangalore. She likes to read and write.